Online gambling is a dynamic industry. 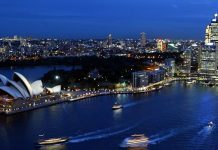 Times they are a-changing, and this year will bring its fair share of twists and turns to the world of iGaming. Expansions, legal developments, and interstate collaborations are all part of the evolving landscape. Let’s take a look and see how online gambling has changed in the United States since the year began. eSports is continuing to grow and is expected to be worth $1.5 billion globally by 2020. Options for players to participate are increasing. Virtual sports innovations include motion-capture technology and advanced algorithms, which make the experience more realistic. 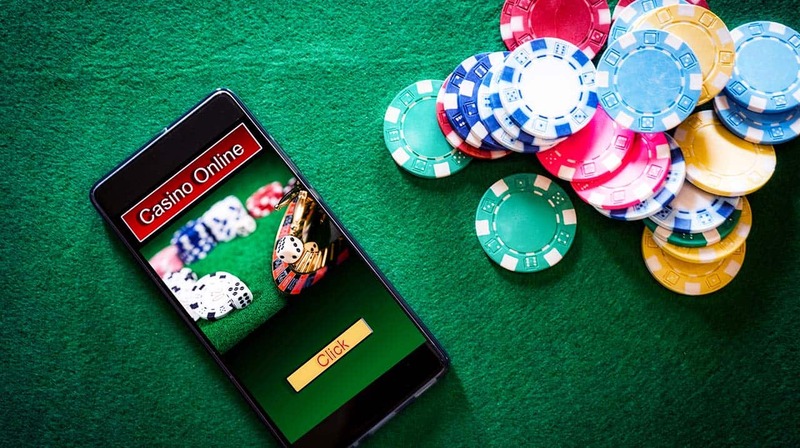 Advancements in mobile betting is a key driver as technology companies scramble to create programs for your smartphone and tablet to keep up with demand. Four million people participated in online gambling in 2017. In 2016, that number was only 2.8 million and the number is expected to grow steadily in the coming years. Virtual reality is the buzzword right now. Some say that online gambling lacks the excitement of a live casino, but technology innovators are about to change that with virtual reality. 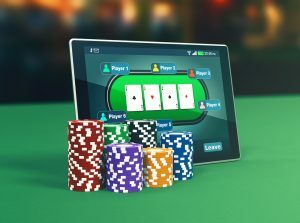 This will enrich the online experience and let players literally walk around the virtual casino and interact with dealers and other players, as well as explore the whole casino. The online world will spring to life and the possibilities are almost limitless. Games of skill are on the rise, and players are becoming keenly interested in being financially rewarded for their skills. 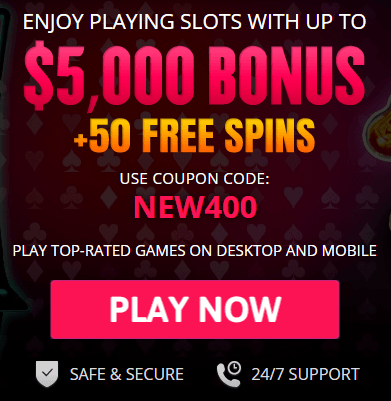 This is evident in the increasing popularity of online sports betting and poker. New gaming companies will enter the market with new offerings this year and existing ones will have new options for gamers, as well. A sneak peek into the offerings is almost impossible though, because developers keep their new games top secret until they are released in beta and then ready for official launch. Some epic new releases are sure to be seen in 2019. New Jersey is waiting on a decision from the U.S. Supreme Court on online sports betting. It may take a while, but sometime this year, the state hopes to win a court decision that will end the virtual monopoly that Nevada has on sports betting. Companies that offer platforms for online betting are being encouraged to get applications for licenses ready now if they want to get on the ground floor of developments that are expected in Atlantic City. Executives at Monmouth Park say they have plans to expand the William Hill Sports Bar, and, after the court decision is finally announced, want to take bets in about two weeks. The expansion will take the venue out into the grandstand and could well be the first in a long line of businesses to benefit from the pending legislation. Of course, it’s possible, although not likely, that the court will uphold the Professional and Amateur Sports Protection Act, or PASPA, which outlaws sports betting in all states that did not have it legalized by 1993. How quickly sports books are opened depends on whether the Supreme Court just overturns PASPA, which would mean legislators must pass new regulations for the industry, or issues a narrower decision that upholds the 2014 New Jersey law that challenges PASPA. Striking down the federal law could mean that other states could follow New Jersey’s example and start offering sports betting online. Pennsylvania already has a law on the books that will allow for wagering online. If and when PASPA is struck down, industry observers seem to think other states will first start wagering at brick-and-mortar facilities before revising their own online sports betting laws. Pennsylvania is the state to watch in 2019. The Quaker State passed a measure that officially legalized online gambling this year. The ruling OKs online casinos, poker, iLottery games, and more. State lawmakers also signed a compact with New Jersey that set interstate guidelines for poker playing online. There are several other states that are considering passing online gambling laws. In Illinois this year, the Senate gave the thumbs up to a daily fantasy sports (DFS) bill and bill for online gaming. However, the move was held up by the state’s House of Representatives. The holdup may actually be a cloud with a silver lining though because people in the know say lawmakers in Illinois are considering an even bigger legislative package. The Empire State is looking to pass laws for online poker this year and is also looking at a new law on sports betting in New York. New Hampshire has the rumor mill going, with officials saying they may fast-track online casino legislation after the legalization of the iLottery there early this year. Massachusetts has reportedly dedicated resources to studying the impact of online gaming in the state. Meanwhile, Michigan has expressed serious interest in moving online gaming laws forward, but the buzz may be just that, buzz. Only time will tell. 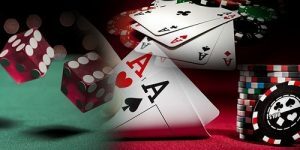 This year, it is expected that, for the first time, online poker players in New Jersey will be able to play with others in Delaware and Nevada. New Jersey has entered an interstate agreement with these two states that would allow them to share in liquidity. 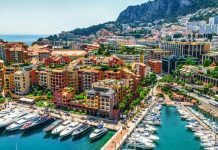 The exact timing of the move is still unclear, but both the WSOP in New Jersey and Nevada will see a short-term benefit. That would mean that cash gaming in the three states would become more commonplace, and, in turn, tournament prize pools would get larger. Pennsylvania is also likely to join with the other three states. And, if it does, the new combined pool will service a cumulative population of approximately 25 million people. That is still a small number when compared with player pools in international markets and is small compared with countries that have a ring fence, such as France and Spain. Even so, it is welcomed progress. Online poker is generally leveling out when it comes to liquidity in New Jersey. 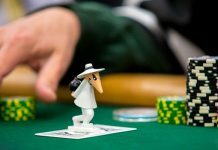 The dominant networks, such as the WSOP, PokerStars, and Borgata, are not going anywhere any time in the near future. An addition to this mashup was Pala Poker last year. It is a standalone entity, but, at this time, it is only being operated in beta mode. Pennsylvania will have the same big three networks in addition to Pala Poker. It will, of course, have to emerge from beta mode first. 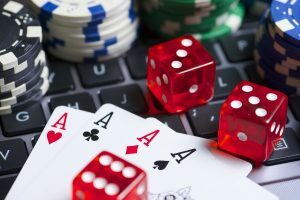 Online gambling in the United States continues to thrive in New Jersey this year, and a revenue record was set in 2017 when casino and poker games together were worth in excess of $20 million per month. There’s talk of new market entrants. The Trump Taj Mahal, a landmark in Atlantic City, is being taken over by the Hard Rock, and there are rumblings that the new owners may want to get in on online gambling. The same is true of the new proprietors at TEN/Revel. There is speculation, however, that these new brands entering the market might cannibalize online revenue that currently exists rather than add to it.